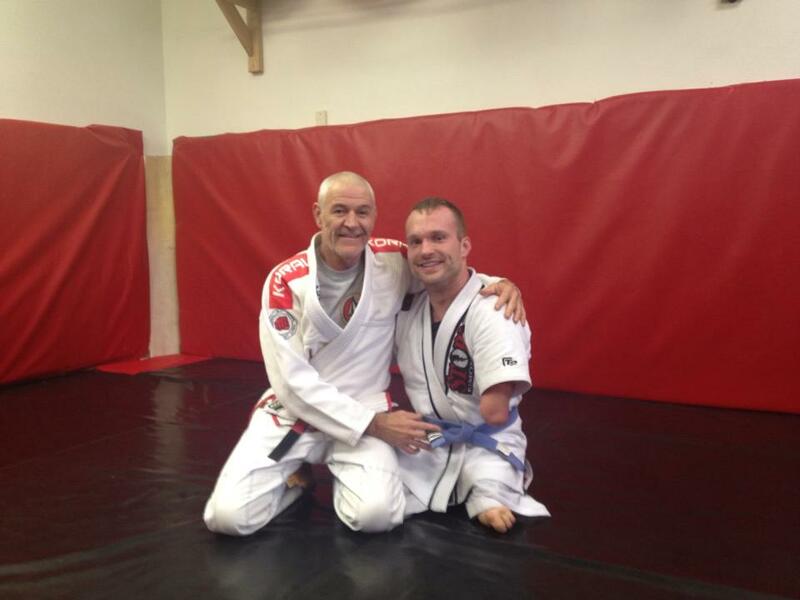 Continuing Can’s June 2013 interview with Fabio Santos, the BJJ pioneer moves on to his thoughts about teaching. You can read the first part of this interview here, covering Fabio’s background and his early years in the USA. The last part will be appearing on Groundwork BJJ. ARTEMIS BJJ: You have a lot of experience as an instructor: what are your thoughts on developing a solid teaching methodology, class formats and the like? FABIO SANTOS: I pay a lot of attention to stand up, I do a lot of judo with my guys. I do a lot of self defence with the white belts. A lot of times I have the higher belts help out, because they already know the self defence, they help during the warm up. We have a methodology for the white belts, the lower belts, when they come in. If they have no knowledge of jiu jitsu, they are going to be off to the side. I will get somebody to help them do the elbow escape, upa, arm defence, pass the guard, off to the side. When I feel that they are ready, I will throw them in. They will go spar with everybody else. Everybody is really nice: if I see anyone brutalising the beginner, I’ll stop. I play it by ear a lot. Some guys are naturals, so you want to get them out there as soon as possible, get them good. Some people take longer, so we have to protect them, whereas others don’t need any protection. They’re going for it, they’re tough naturally. But some you worry about them getting hurt. Those you protect, give them some gentle people to train with. That’s how I saw Rolls teach. 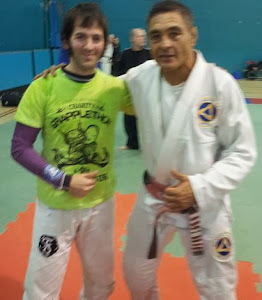 All the time I saw Rolls’ teaching and Rickson’s teaching, Relson’s teaching: these are my teachers. I think I’m just automatic, just like them I’m automatic. I try to put the bigger guys together, the guys in the same age group together. That’s important, so you don’t lose students. I try to have a methodology that doesn’t hurt anyone, that is acceptable. Sometimes you have a guy that is so much better than another guy, and this guy just trashes him and it’s discouraging. That’s why I try to match levels, so they can give each other a hard time, not one annihilating the other. Of course it happens, when you change partners and all, but I always try to maintain the fairness. ARTEMIS BJJ: In terms of actually teaching technique, there seems to be quite a bit of variance on that from school to school. I noticed in class today, you went through it fairly quickly, relying more on the drilling and sparring, rather than going into the fine detail. It’s personal, you know? Some people immediately get it, they copy perfectly what you’ve shown, no problem at all. Then there is the other guy who has more difficulty copying, because of his background or whatever. Teaching is really personal. Some guys, they take forever to show the position, they take like half an hour. “Do this, make sure you do that, make sure you do this.” But their student is still going to make the mistake. You can’t make them do it perfectly the first time. So, I show the position five times, “Ok, it’s kind of like this.” Then like this one, this two. On the tenth time, they should be doing it perfectly. I always tell people to ask questions. If you think you are doing something wrong, ask a question and we’ll fix the situation. That’s how I see it. ARTEMIS BJJ: Would you treat it the same way in a private lesson, or would that be a different kind of format? FABIO SANTOS: The private lesson, if it is me and them, I like to feel their jiu jitsu. Then I can give my input on what they need to do. Sometimes, in a semi-private where you have more than one person, watching them train can be more effective. That’s because of the level, I don’t have to play a role with the guy, like if I have to play the role of a blue belt to see what this guy is doing. 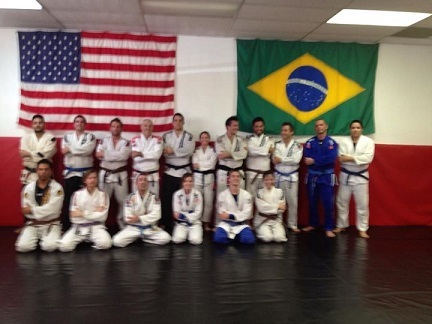 It is better sometimes having two blue belts, then I can see exactly what that person needs to do. It can be more effective than having them train with me, because I’d be playing a role. I could just smash the guy, but that’s not what I want to do, so I play like a blue belt and see what they are doing wrong, at their level. It can be complicated to improve somebody.You have to see what they are doing wrong, then little by little you adjust. Sometimes you leave your arm out to see if they notice, or you leave your neck exposed.There’s also why do they want to get better: do they want to compete, do they just want to be effective if somebody attacks them on the street. What do you want to do with your jiu jitsu? Then we’ll train accordingly. I believe that you should always start on the ground. There are guys who insist “Oh no, you have to do throws!”, this and that: no. If you don’t know how to get out of the bottom, all that you’re learning is going to be worthless! [laughs] It’s like not knowing how to throw a jab. If you’re a boxer, that’s the most important thing, to have a good jab! So you’re going to train ten years to come out with one good jab. It’s the same thing, in jiu jitsu you’re going to try to get out of the bottom, from the mount, from the guard. You’ve got to know sweeps, elbow escape, upa. Those are the most important things, because you can be a good puncher, a good thrower, but if you don’t know how to get out of the bottom when somebody is holding you down, then all that training is useless. ARTEMIS BJJ: Does any of that methodology and class format come from your university degree in Physical Education?